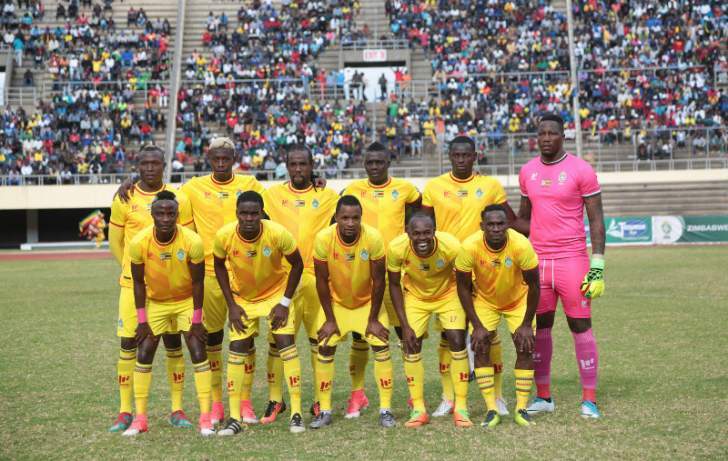 Zimbabwe topped their four-team qualifying group ahead of DR Congo to secure their place at the 2019 African Cup of Nations, which means it will be two consecutive appearances at the tournament following their brief showing at the 2017 competition where they were eliminated in the group stages. Reaching back to back finals is an achievement given this will only be their fourth ever appearance and, regardless of what happens, they should embrace the atmosphere and enjoy themselves. At same that they will sure be paying tribute to the memory of the fan who lost their life ahead of the final qualifier against Congo, which they won to secure top spot. Some things, after all, are bigger than football. The draw, which was a visually spectacular affair held in Giza, has been made and the 24 teams - not just the usual 16 - know what lies in wait come kick off in Egypt. Let's analyse what's in store for the Warriors. The hosts were the only team assured of their group ahead of the draw and were promptly joined in group A by Zimbabwe who were the first name out of the hat. That's a huge tie to be involved in, irrespective of the result, as it will be the opening fixture. The next round was the third seeds and Uganda were drawn. Last but not least DR Congo - a team Wellington Mpandare and his team know all about - were chosen to complete the Group A party. The standout game will undoubtedly be the match up against the hosts and the tournament's star name, Mo Salah. Egypt are the side with the greatest pedigree in tournament history but haven't lifted the trophy since 2010 and were defeated finalists two years ago. Egypt won't only have the sprinkling of world class talent in their ranks but also the home crowd, who will be chomping at the bit to see their team put the Warriors to the sword, in the opening game. For Zimbabwe to have any chance of taking three points from the fixture they'll need to be on top of their game, hope that Egypt have an off day and, even then, a little rub of the green wouldn't go a miss. The odds aren't too bright to take points from this game: it will be necessary high focus to keep skilful Mohamed Salah, who just scored a rocket past Chelsea this Sunday, on hold. It's not all doom and gloom though as the Warriors will also face off against DR Congo and that's a game that they know they're capable of taking maximum points from. Having qualified ahead of them and taking four points from six in the process shows that they have the recipe to win that game. Nonetheless, DR Congo have some players who play in European top tiers, like Tisserand who plays in Wolfsburg (Germany) and Mbemba who is playing for FC Porto (Portugal) at the moment. The final team, Uganda, also topped their qualifying group and it's a tie that could be difficult to call with both sides keen to improve on their last tournament outing when they ended bottom of their respective groups. The fact Uganda have recent experience of having beaten Egypt - in World Cup qualification - probably means most neutrals will give them the edge. The fact that they have almost no players with European experience might be an advantage after all, since the players might be well rested and better focused on this tournament. It's difficult to see beyond Egypt as group winner so it's a three horse race for second spot and straight qualification to the knock out phase; failing that, the new 24 team format gives four third placed sides a route through as well and that means Zimbabwe has a serious chance of doing something they've never done before - progressing from the group. As a nation, the Warriors aren't blessed with household names from around the world but they have a tremendous spirit and in captain Knowledge Musona they have an attacker who is more than capable of finding the net. Musona bagged himself five goals during the qualifying campaign taking his total national team return to 22 goals in 34 outings; if he can find form then don't be surprised to see his team make it through the group and write their names into the nation's history books forever. Zimbabwe are one of the least expected teams to succeed in the tournament, with the odd to win it in 100.0. Senegal and Egypt are tied as favourites, while Algeria, Ivory Coast, Morocco and Nigeria come just behind. It is understandable, since these teams are full of players with Champions League quality. Nonetheless, even if the Warriors don't win, they can still make a high impact in this tournament and overcome the expectations.